In medical terms, high blood pressure is known as hypertension and it is a condition in which the blood pressure in the arteries is higher than the normal. Hypertension is a long term medical condition and is associated with major risk factors for coronary artery disease, chronic kidney disease, stroke, heart failure, peripheral vascular disease etc.. Common symptoms that people experience under high blood pressure include a headache, fainting episodes, altered vision, sensation of dizziness etc.. There are many medications that are available to treat the problem of hypertension but there are many natural ways that can increase the efficiency of medicines and helps you control the blood pressure. 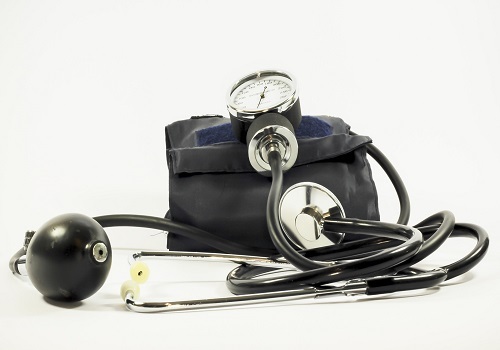 Many studies have demonstrated the beneficial effect of physical activity on blood pressure. It is considered to play an important role as a natural way to control hypertension. Regular physical activity causes many psychological responses in the body system and it also helps in dealing with the demands of the body. It is considered as a natural, inexpensive and an effective way to control hypertension and increasing the quality of living. There are many studies that reported the effect of physical exercise in controlling hypertension. One study stated that physical exercise can be considered as a cornerstone therapy for the prevention, treatment, and control of hypertension. Also, weight management plays an important role in controlling blood pressure and regular physical exercise will help you maintain the good weight. Cardiovascular disease has become a leading risk factor of death in the world and an uncontrolled blood pressure majorly contributes to the development of cardiovascular disease. It has been proved that high dietary salt is one of the important cause of high blood pressure. Salt increases the sodium level in the bloodstream and reduces the ability of the kidney to remove water. Hence an extra fluid and strain on the blood vessel lead to higher blood pressure. Also, if you are taking medications for high blood pressure then cutting down the intake of salt is important as high intake of salt can decrease the efficiency of blood pressure medicines. 80 to 85% of daily intake of salt is from the processed food. Many researchers say that an excessive consumption of alcohol increases the risk of developing hypertension and if one is already suffering from hypertension then alcohol can worsen the condition. Also, reducing alcohol and improving hypertension can highly affect the quality of life as controlled blood pressure can reduce the risk of other health issues as well. The relationship between alcohol and blood pressure has been described in many surveys. The fluctuation in the blood pressure can be seen just by a single drink and when it is consumed in a heavy amount it drastically affects the blood pressure and the overall health. Psychological factors such as stress play a critical role in an increased blood pressure. Directly or indirectly stress makes a person lead the unhealthy lifestyle. Stress is a condition in which person deals with mentally and emotionally strain and this affects the doings of a person. It can lead to no physical activity, an increased diet. In stress, the person might increase its consumption of alcohol or an increased smoking and all these factors affects the blood pressure. Also, under stress, the body produces many hormones that make the heart beat faster and narrows the blood vessels. This further leads to an increased blood pressure. Reducing stress also helps in improving the conditions of many other health problems as well. Try to understand the cause of the stress and work on solving the issues. Yes, caffeine too can be the cause of the development of hypertension. Many studies say that caffeine can block the hormone that functions to keep the arteries widened and also it increases the production of adrenaline through adrenal glands. This increases the blood pressure. Also, it has been researched that people who consume more caffeinated beverages have high blood pressure as compared to those who limit their caffeine intake. If you know anyone who is suffering from hypertension then share it with them as well. Also, share your opinions in the comment section below. Stay Safe, Stay Healthy!! Tags: Helpful Tips For People With Type 2 Diabetes, Reasons to why quit smoking, 5 probiotic foods for a healthy life, What Food items show spike in Blood Pressure?